There have been a few times where I’ve felt doubt that I picked the right horse. I picked all my horses without a professional’s help, except for Berry. I did get some assistance when I bought Berry – she came from Pony Man’s current trainer. I went to see a different horse, and I told her what I wanted. She steered me away from the horse I came to look at it, and right towards Berry, a horse I originally had no interest in. Good call, Sarah! It was reassuring. Someone else believes in my horse. I can tell my trainer genuinely likes her – she tells her she’s a good girl, she pets her, she praises her, and tells others she’s a good girl. The only time she got mad at her is when we were standing at the ingate and Berry kept touching things but it was my fault for having us stand there. Berry started touching the ring steward’s back, eating the nearby bush, and ended with grabbing the box of ribbons, preparing to dump it all over. She got a swat from my trainer for that. It may be dusk, and darkening fast, but you just have to ride! No one’s ever told me to sell Berry and get a new, better, improved model. For that, I am thankful, and I respect my trainer even more because she respects that Berry is the horse I choose, and the horse I want to learn on. She’s never told me I should buy a $20k horse – she knows that what I really need is $19k of lessons on my $1k horse. 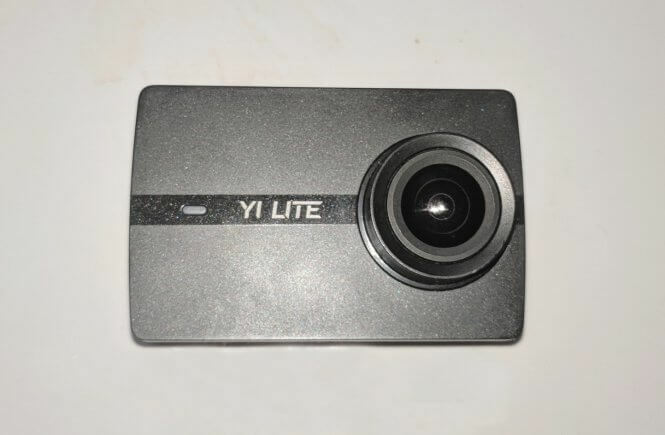 It chips away at your confidence when someone is continually telling you to upgrade, making you doubt yourself, which leads to the downward spiral of, “No one thinks I can do this, I can’t do this because they know better.” I know this, because that’s how it was with Vintage when I was a teenager. It could have been the appaloosa bias. My trainer at the time (as far as I could tell) hated appies. A boarder there with an appy thought so, too. My trainer didn’t care that Vintage was the horse I choose, for whatever my teenage reasons were. She thought I should sell her, and buy a big warmblood, despite the fact that our barn didn’t show, and I didn’t need a big warmblood to be competitive at the shows we didn’t go to. What I needed was lessons, hence why I was there in the first place. I got Vintage when I was 17, a gift from my wonderful mother who wanted to support my horse dreams. She got me a saddle too, and I was all set to go. I was the brave teenager who thought I knew everything, and wanted to tame my wild appaloosa. I had plenty of experience riding already trained horses, but I didn’t realize there was a difference with a green horse. I don’t know how much training she had before me, but she wouldn’t even let me pick up her hooves, so she was definitely on the very green side of things. But I was basically a brave idiot, so I taught her ground manners, and attempted to ride. I was pretty bad at the training part, which is why I ended up with my trainer. 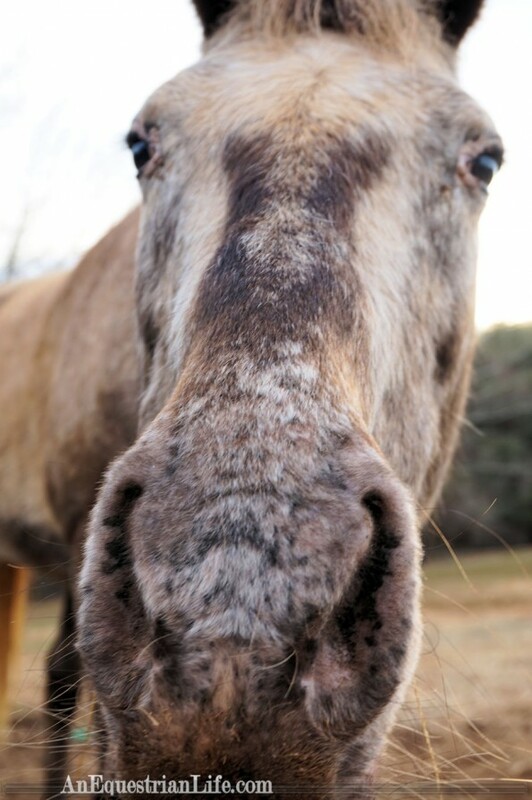 There’s something about appaloosa that many people hate. Before I owned one, I didn’t want to own one, but after owning one, I love mine. They do kind of have weird looking faces, a face only a mother would love. But it’s a bit taboo to call someone else’s horse ugly, so they leave it vague why they don’t like appys. 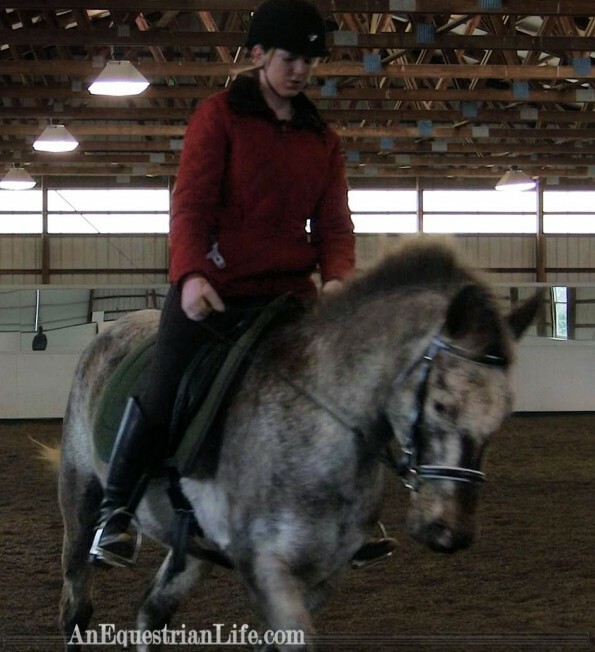 My trainer didn’t like her, and after a few lessons with her, starting recommending I sell her. I wasn’t really sure what I wanted to do, but since she was the professional, I decided to put her on the market. She rode Vintage for pictures (oddly, only at a walk, she didn’t trust Vintage at a trot… or she didn’t want to give me a free training ride, I’m not sure which), and I made up the flyers. The horse market was a little different then, and I put her price as my trainer recommended, $3500, which seems absurdly high now for what she was, a small, grade, green appaloosa. Apparently everyone else thought so too, because I got little interest in her, until I got a call one day from a man looking for a barrel horse for his daughter. 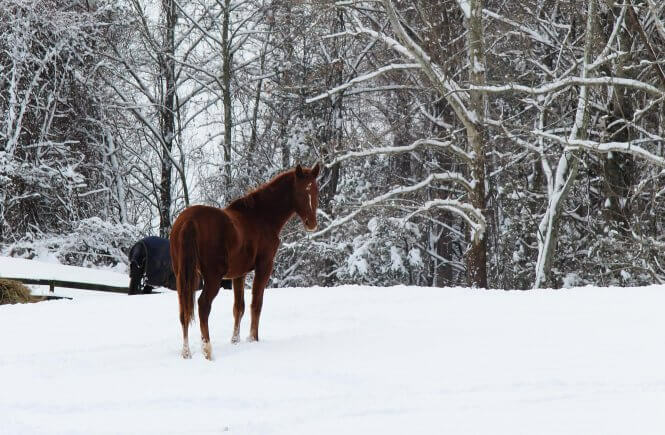 They wanted to trade their (allegedly) tall, beautiful thoroughbred for her. I was intrigued, as that was an acceptable breed to have in this barn, and were greatly appreciated at my old hunter barn. We set up a day for them to come look at Vintage. Before I started going to the trainer, Vintage was half pasture potato, because I wasn’t entirely sure what to do with her. But since I was (half-heartedly) trying to sell her, Vintage was in regular work. I made a huge effort to get her in sale shape, and without realizing it, I was starting to enjoy her. 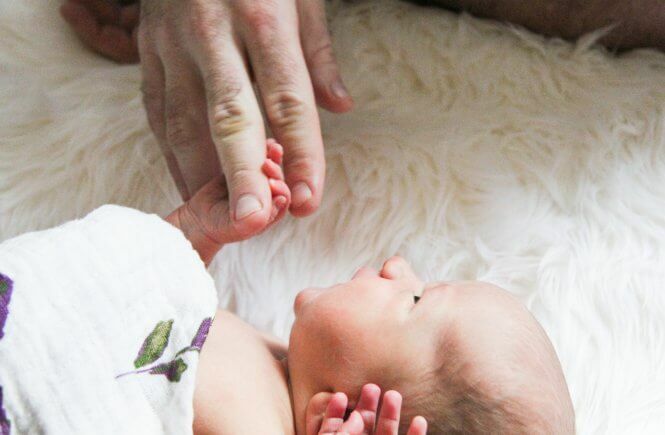 When the man and his daughter showed up, I had her in the crossties, where she was napping, something that hadn’t been possible just a month prior. I remember pulling off her blanket, and her coat underneath was sleek and shiny, and she was so well muscled. 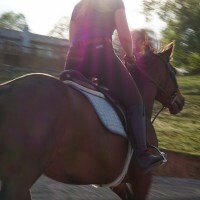 It was when I suddenly had a burst of pride that my horse was so wonderful. I rode her around in the indoor, and she was quiet and well mannered. 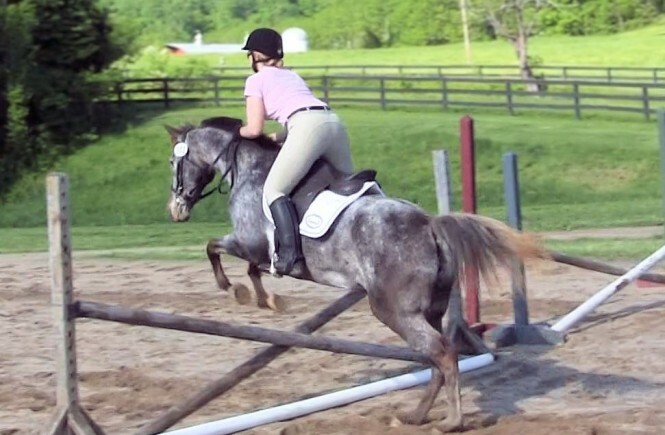 The girl got on, and I had a sinking feeling that she wasn’t an experienced rider. Vintage is very sensitive, and the girl was definitely confusing her. My poor baby was in pain, and all I could do is watch. They really liked her, so we set up a date for me to come ride their thoroughbred. I was already starting to have doubt of this working out, as I thought of how poorly Vintage had gone with them, and my maternal feelings were starting to kick in. I hadn’t had Vintage all that long, and prior to this, I wasn’t in love with her, or really attached. But now, after seeing she was starting to go well for me, and she was looking so good, I was starting to get attached. 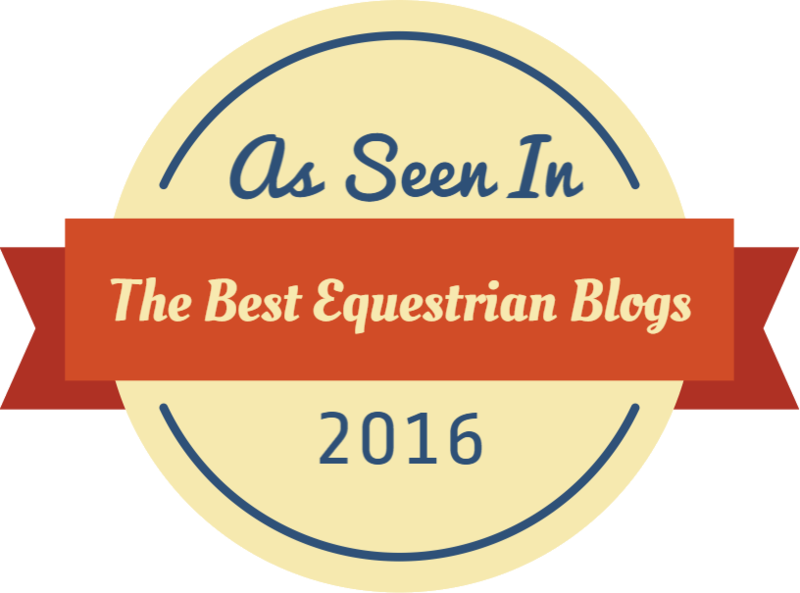 I went to see their thoroughbred, and it was instant disappointment. He couldn’t help that it was winter, and he was super shaggy, but he was thin, and compared to my sleek, well muscled Vintage, it looked like he wasn’t being taken care of. I rode him, and it was like riding a block of wood. He wouldn’t bend, wasn’t supple and he had only a basic understanding of the simplest aids. I didn’t even leave them hanging, I told them no immediately. It made me start wondering though. The thoroughbred had been tall, but he wasn’t nearly as nice as ride as Vintage. Once I had put an effort into Vintage, I reaped the reward of having a nicer horse. It truly wasn’t hard, it just required the time. I immediately stopped marketing Vintage, and just concentrated on riding the snot out of her. I started having fun, tons of fun. 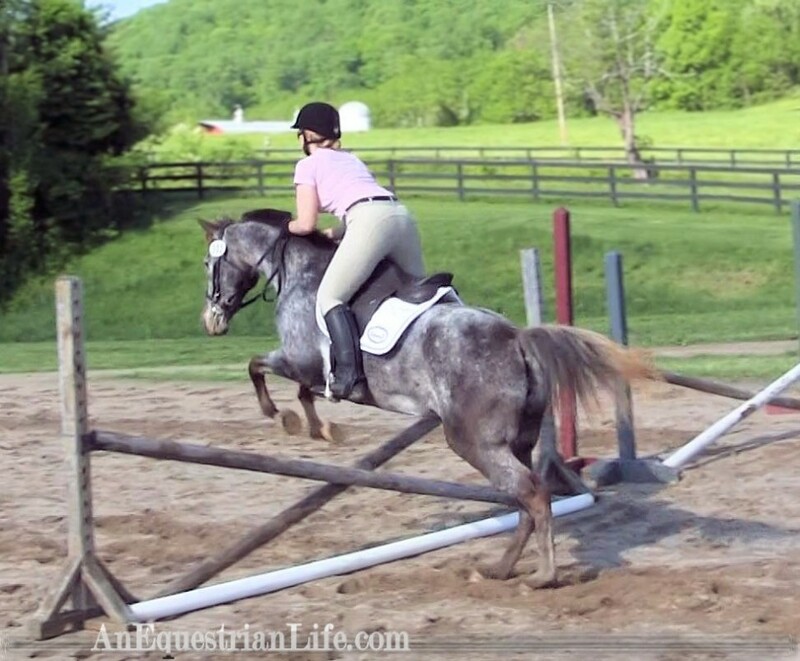 Vintage was exactly the horse I had wanted when I bought her, and once I pushed my doubts aside, I could see it. My trainer still didn’t like her, but I started taking lessons on her school horses, and then just riding Vintage on my own, that way she didn’t have to lament at how much she didn’t like Vintage. But even though I loved my trainer at the time, I honestly lost a bit of respect for her for doubting me and/or Vintage, when we were clearly capable. Vintage was everything a teenage girl could want. A few months later, the same man and daughter contacted me again about a different trade. Apparently they had traded the thoroughbred for a paint, and now wanted to trade the paint for Vintage. I admire their dedication to really wanting Vintage, but now, I didn’t want a different horse. I wanted Vintage. I did go look at the paint, mainly out of curiosity, and he was marginally better than the thoroughbred they had, but it was not enough to convince me to part with her. Eventually, I got a working student position with a dressage trainer who loved Vintage, and thought she was fabulous. We made great strides with her training while I worked for her. Ahh!! Creepy mirror shadow figure!! It may not have been the smartest idea to buy a green horse***, but it all worked out in the end. 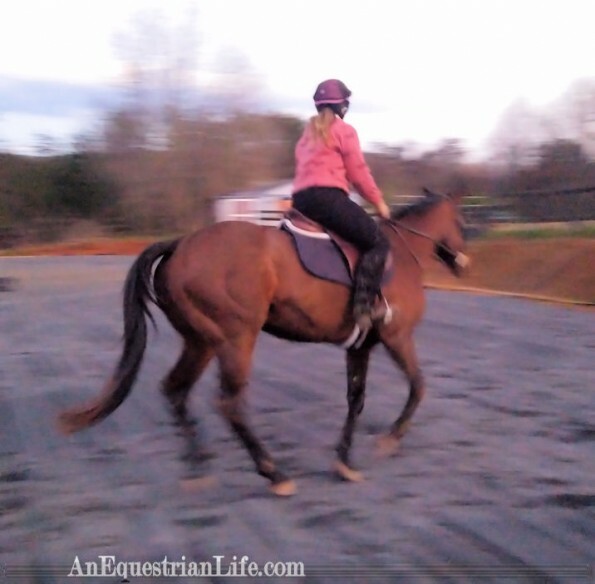 I hadn’t needed a big, fancy warmblood, I needed to learn how to ride. 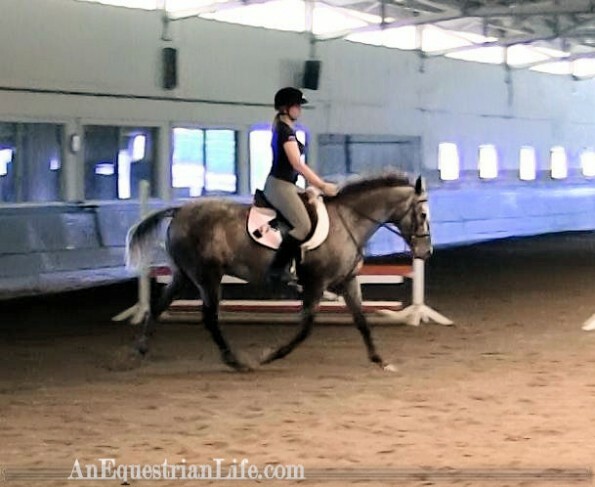 Having a big, fancy warmblood doesn’t endow me with riding ability. My trainer never explained to me why I needed to trade in my perfectly serviceable appaloosa. 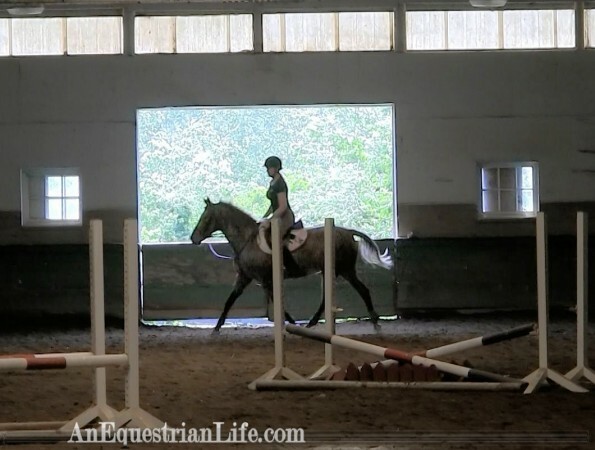 Just that I needed a big, fancy warmblood. In fact, she didn’t even talk to me about my goals with Vintage, or with hypothetical fancy warmblood. If I had told her my goal was to show, it would have made sense for her to push getting a horse that would be competitive. But she never asked. Vintage surprised me with what she was capable of. She was capable of way more than I ever asked of her. Sometimes I regret that I didn’t push myself harder, because I could have done way more with her. But she was completely suitable for me, I learned a lot from her, and she’s still a wonderful horse to ride. Vintage didn’t start out being a perfect horse. She was a lump of clay, waiting to be created. I wanted help molding her, not to be told to find someone else’s already created sculpture. My goal was learning the process of training. For me then, it wasn’t about having a perfectly made horse. It was about the journey. It’s about learning how to train, how to manage personalities, and how to react in situations. Having a made horse is fun, but it’s more fun knowing that I’m the one that made it. Granted, now that my goal is showing, I do wish things were already in place, like those blasted lead changes. But once I figure them out, I’ll be able to put them on Pony, too. And every horse after that. It may mean that I won’t be competitive until I get them, but it’s a great motivation to figure it out. I’m glad no one’s telling me my horses aren’t suitable for me these days. I have a odd assortment of equines, but I want to find ways to make them all work. I have them sort of figured out, but there’s time for them to develop. I have hard goals, and loose goals, and somehow, they will all fit into them. I don’t need a new or different horse at this time. Once I’ve learned much, much more, I may want a fancier horse to be competitive. But right now, I think I’m good. ***I will say this with a footnote – I don’t think it’s a good idea for a inexperienced person to get a green horse without a trainer. When I was stuck, I got a trainer, which is why I survived. But, as I mentioned, before I went to the trainer, I didn’t accomplish much of anything on my own. 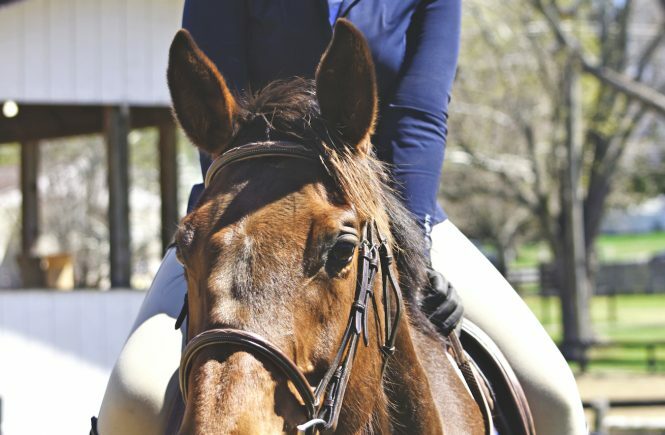 It’s pointless to downright stupid to get an untrained horse unless you have a solid plan. 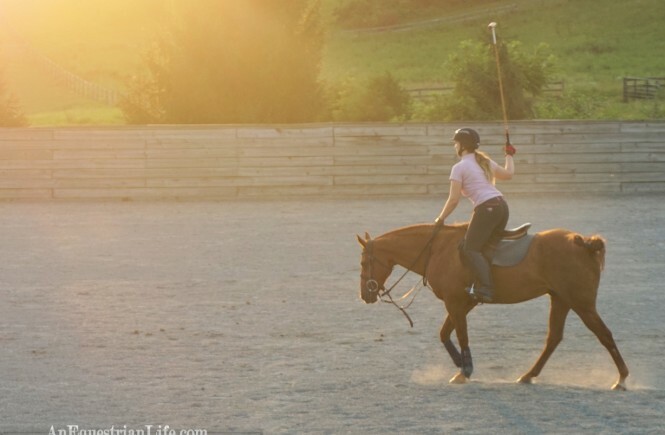 while YES, sometimes the right answer *is* a different horse… i often distrust trainers who go to that as step 1. like, if a trainer wants to fix all my problems with a new better horse, what happens when the same problems follow me to that horse? or the one after?!? anyway tho glad you stuck with Vintage! she’s such a neat little mare! Exactly!! I do get that sometimes it really is the wrong horse, as I’ve had the wrong horse before too, but sometimes it’s not. I appreciate trainers who give their clients the benefit of understanding wanting to work through it, as opposed to just immediately getting rid of the horse! 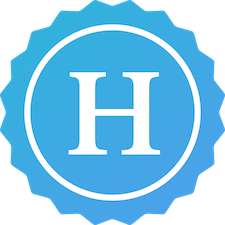 Thank you, Vintage is super neat! I love my coach for this reason. Here I am as an adult with a fat little pony at an eventing barn filled with upper level horses and their teenage riders. We don’t fit in. At all. But, she’s always complimentary and a big believer in hard work and riding the horse you enjoy being the most important thing. Aww, that’s wonderful! That’s the best kind of trainer, one that wants you and your horse to reach their goals, regardless of anything else! The Appaloosa bias is strong. Copper is an incognito Appaloosa so we don’t encounter it frequently, and luckily my trainer loves him despite the fact that he isn’t ever going to be a reining horse. It has been mentioned numerous times that I should sell him, but even when he was for sale, his price was high enough that he was only going somewhere if someone serious came looking. 😉 Most horses mirror the effort/time put into them. I’m glad you stuck through the green with Vintage and realized that. Haha, purposefully making it hard to sell! I love it. That’s great your trainer still loves him. Amazing how a good trainer can make a huge difference. I am finding that out right now. 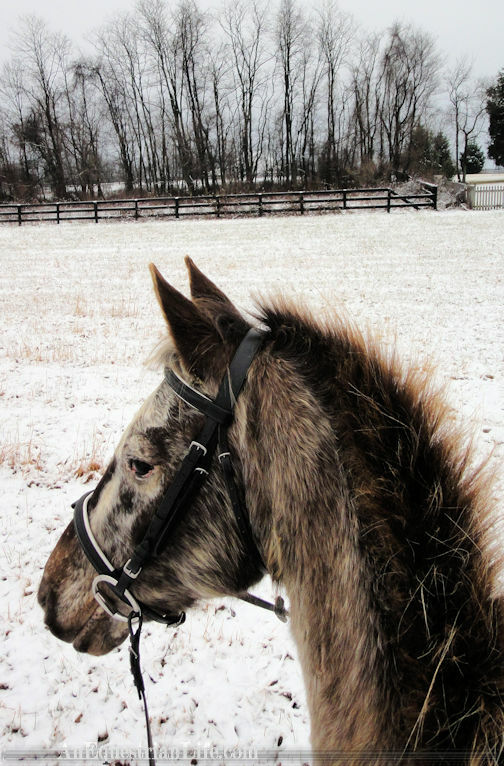 My first mare was pure Appaloosa, and I ran into a lot of hate against her. Surprisingly the most hate came from somebody that owned a solid bred Appaloosa. With my second mare I have found a lot less animosity. But I show dressage now instead of open shows, and mostly get very kind comments about her color, her size, and her personality. It is a nice change. Odd that it came from solid people. I haven’t really hung out with other appy people, I didn’t know some of them divided into cliques too! That’s great you’re getting positive comments now! You should mention Vinny’s good qualities. Like the fact that she can cut one sheep out of a flock of 20, or that she can jump a four foot fence on her own, no human involved. Or maybe that she has no fear of heights and will easily climb up a 40 foot tall mound of dirt and declare herself queen, thus teaching all the other horses in the field that they too, can climb a 40′ pile of dirt.